What is the Round Rock Ranch Neighborhood Like? According to the most recent census data taken from the 2010 census, there are 2708 people in the neighborhood with an average household size of 3. A few other numbers that stood out, but click the link at the bottom for the full report. 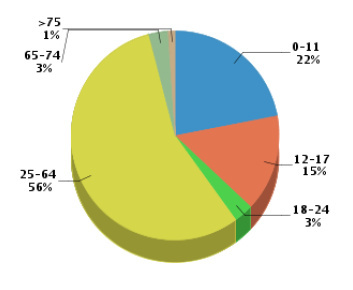 In Round Rock Ranch, the population by age is primarily between the age of 25-64. Round Rock Ranch is also has a large number of kids, with 37% being 17 or younger. Fifty-one percent of the population in Round Rock Ranch is female and 77% of households are married. Owner-occupied homes represent 88% of households in the neighborhood and 71% of the population are employed in the private sector with 11% being employed by the government. Click Round Rock Ranch – Neighborhood Profile for the full report. If you have any help or questions on Round Rock Ranch, Contact Me today!